Alpine and arctic tree lines are expected to advance to higher altitudes and further north due to global warming. Changes in temperature, precipitation, and snow coverage will affect numerous ecosystems and their interaction and forest ecosystems are expected to be highly affected by increasing temperatures, particularly in boreal regions. 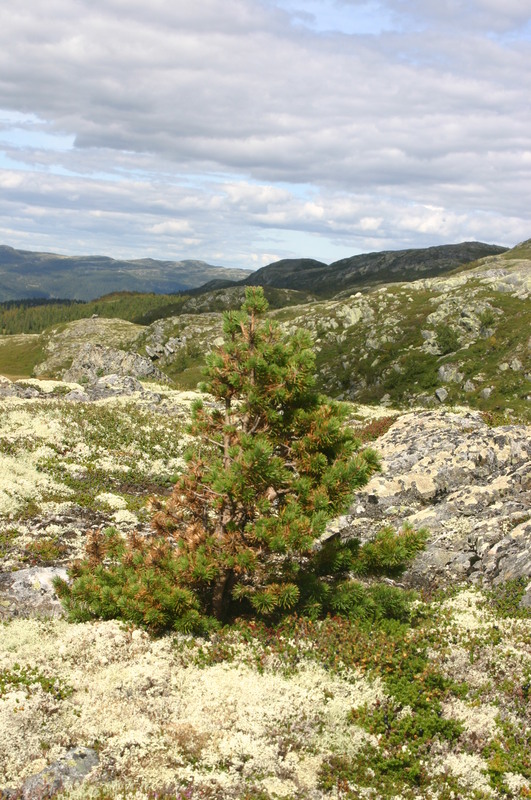 The forest-tundra ecotone involves a high sensitivity to climatic changes and therewith, the development of suitable methods for monitoring these changes is of great importance and interest. Remote sensing techniques have to be employed for the monitoring of such vast areas as the forest-tundra ecotone. However, optical remote sensing instruments are limited by their spatial resolutions because of the small-sized and sparsely distributed objects of interest, the small individual trees with a height growth of 0–5 cm per year. In this context, airborne laser scanning (ALS) may provide a well-suited tool because of its capability of predicting biophysical parameters on single tree level at different scales. Concerning the discrimination of small individual trees located in the forest-tundra ecotone, it was shown that ALS is suitable for the detection of such small pioneer trees using different laser point densities. The objective of this study was to investigate the potential of high-density ALS data for detection purposes concerning small individual trees located in the forest-tundra ecotone. The study area comprises a 1,500 km long and approximately 180 m wide longitudinal transect encompassing hundreds of mountain forest and alpine elevation gradients. The transect covers sample plots in the forest-tundra ecotone at elevations ranging from 350 to 1200 m above sea level. ALS data were acquired with an Optech ALTM3100C laser scanning system in Southern and Central Norway, whereas in Northern Norway, the ALS data were collected using a Gemini upgraded version of the Optech ALTM3100C laser scanner denoted as ALTM Gemini. Generalized linear models and generalized linear mixed models were used to investigate the detection success rate of the small individual trees based on tree crown polygons. Almost every tree (90%) exceeding a height of 1 m was successfully detected by using laser pulse densities greater than 6.8 m-2. For trees smaller than 1 m in height, a decrease in the success rate of tree detection was found (49%). 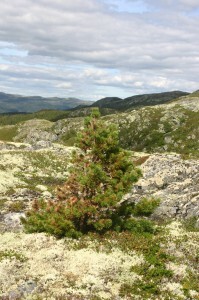 For these small trees, tree species was an important explanatory variable for the probability of being detected and the highest detection success was found for spruce. Although they were highly correlated, tree height and tree crown area turned out to be the variables showing high significance (p < 0.001) for the probability of detecting small individual trees. Furthermore, a latitude effect was found that might be influenced by the occurrence of the different tree species along the latitude gradient and the local topography. This entry was posted in NORKLIMA, Publications and tagged airborne laser scanning, Forest-tundra ecotone, NORKLIMA, small single trees, tree detection, Tree line by Hans Ole Ørka. Bookmark the permalink.